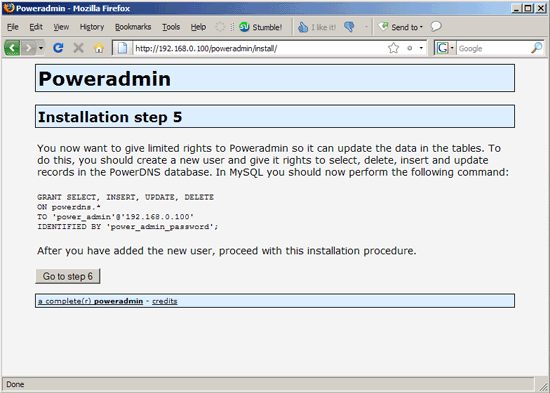 This article shows how you can install the PowerDNS nameserver (with MySQL backend) and the Poweradmin control panel for PowerDNS on a Debian Lenny system. 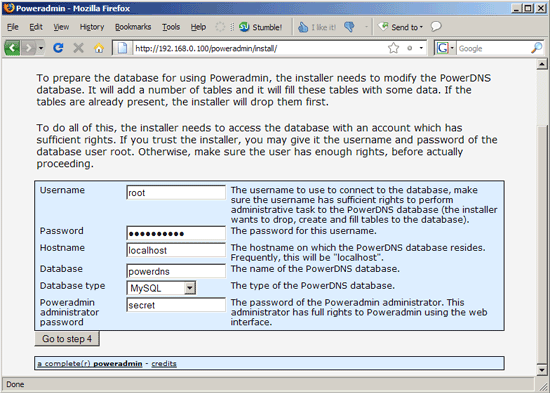 PowerDNS is a high-performance, authoritative-only nameserver – in the setup described here it will read the DNS records from a MySQL database (similar to MyDNS), although other backends such as PostgreSQL are supported as well. 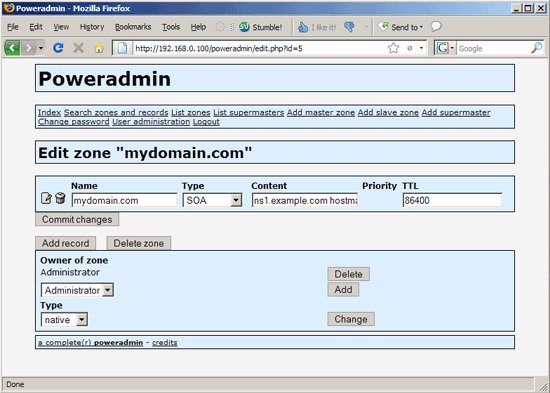 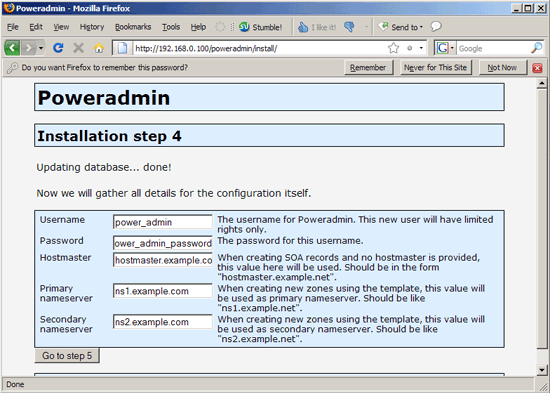 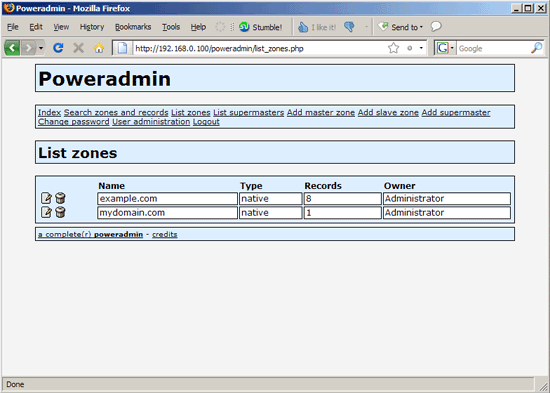 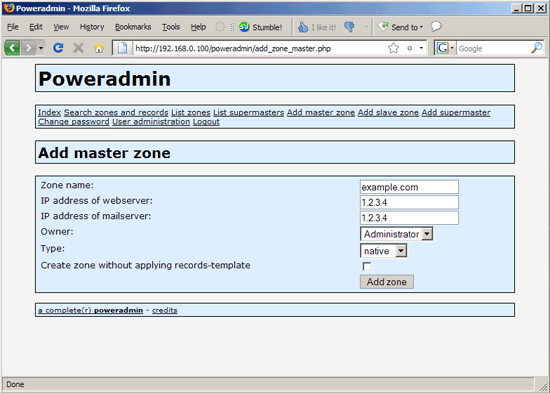 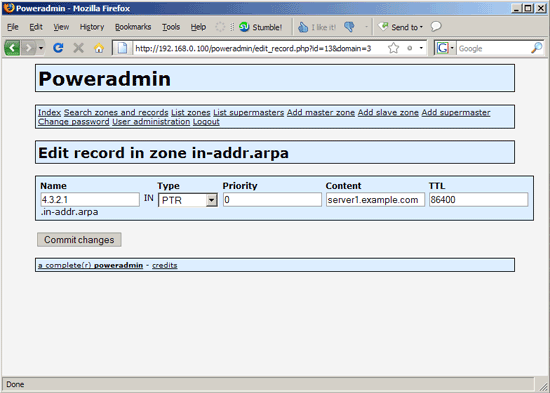 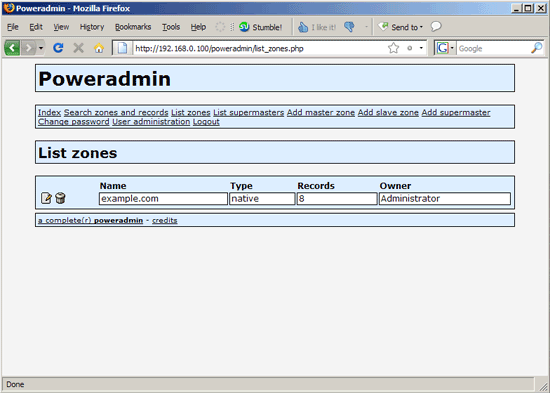 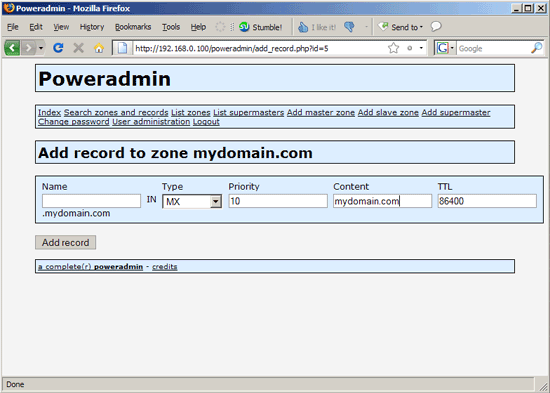 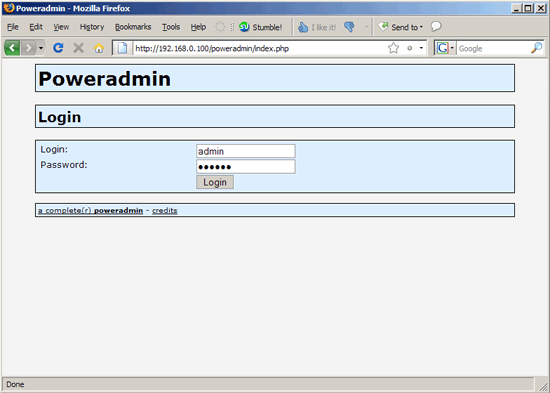 Poweradmin is a web-based control panel for PowerDNS. 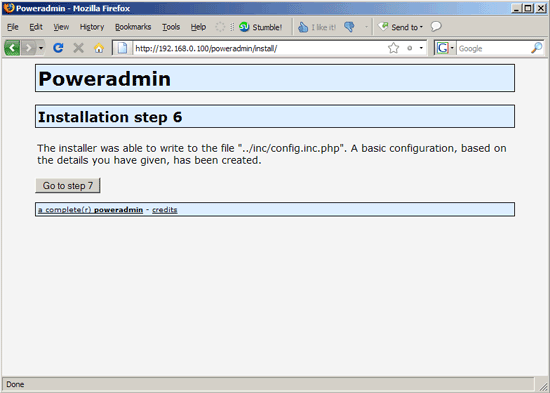 In this example I’m using a Debian Lenny host with the hostname server1.example.com and the IP address 192.168.0.100, set up according to the first six chapters of this tutorial: The Perfect Server – Debian Lenny (Debian 5.0) [ISPConfig 2]. I will set up just one PowerDNS server in this example (a master); adding PowerDNS slave(s) can easily be achieved by using MySQL database replication from the master to the slave(s), therefore no zone transfers are needed (this again is similar to MyDNS). 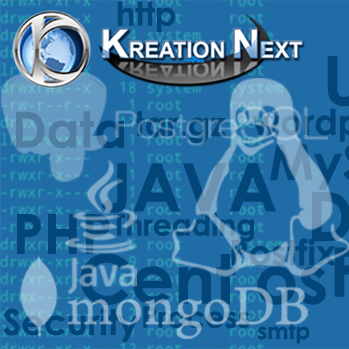 MySQL database replication can be set up according to this tutorial: How To Set Up Database Replication In MySQL (PowerDNS also supports native zone transfers (for scenarios where you cannot use MySQL replication) – see http://downloads.powerdns.com/documentation/html/replication.html). 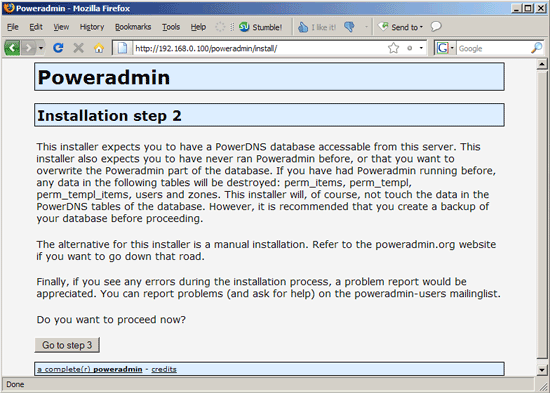 The PowerDNS configuration is located in the /etc/powerdns directory – I’ll come to that in a moment. 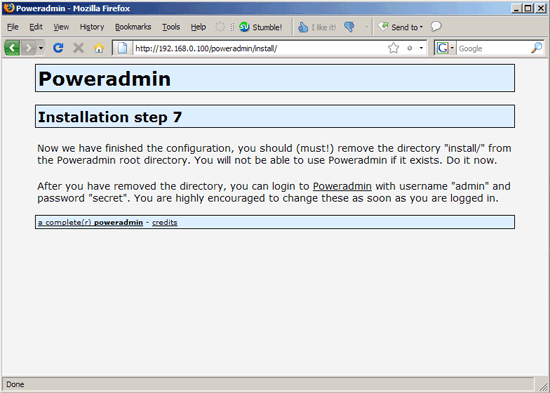 Now all prerequisites for Poweradmin are installed, and we can begin with the Poweradmin installation (I will install it in a subdirectory of /var/www – /var/www is the document root of Apache’s default web site on Debian; if you’ve created a vhost with a different document root, please adjust the paths).